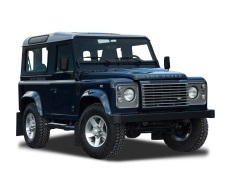 Correct Wheel Sizes, PCD, Offset, Rims and Tire specs for Land Rover Defender series. 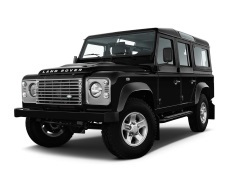 Is it legal to have 275/60r20 on a defender? Hi,Michael,Can you show your current tire size?I can help you confirm that. Hi can you tell me if michelin zxl 7.50/16 will safely fit on freestyle alloys ? Hi there, will hankook tyres 33/12 with 15" rims 6 nutss fit on a defender? Hi,Debbie,Defender just have 5 bolt patter.5*165.1. I need to fit offload tires to 1988 landrover 110 current size is Lt235 /85R16 . What equivalent defender year tires can I go for. Hi,Davidson,you can try to find 2007-2013 Defender stock tires. Will disco 20in wheels fit straight on to a 2004 dcpu.? Hi,Angus,Can you explain what dcpu is? No, Disco 20inch rims won't fit straight on a Double Cab Pick Up the stud spacing (PCD) is totally different. Your DCPU stud spacing is 5x165,Disco 20 inch are 5x120. May i know ehat the tire size for 18inch rim? Hi,Eric KC,Can you show your current tire size?I can help you confirm 18'' rim tires.Because these tires should compatible. 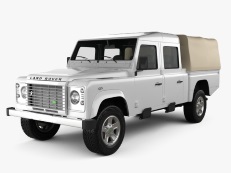 I have a defender 90, 300tdi (1995) with 1) standard wheel arches, 2) sawtooth alloys and 3) 30mm spacers. What's the maximum width I can legally put on the sawtooths with spacers without it protruding beyond the wheel arch? I'm torn between 265 or 285 (both /75/r16). Hi,Tom,What your sawtooth alloys width?The max tire size is depend on wheel width. Hi I have a 1994 130 Double Cab (South Africa built) 300tdi. The manufacturers plates states: Tyre pressure (kpa) unladen/laden FRONT 175/220 REAR 172/350 Front axel load 1200 kg and Rear axel load 2000 kg. The pressure seems high. What are the maximum loads for the other tyres quoted?